When you are one of the World’s best players, you get special perks like signature boot releases. A few weeks back, Lionel Messi received his latest pair in the form of the Mirosar10, a boot designed to celebrate his past. In standard fashion, Messi finished off the 2014 calendar year in style with a double during Barcelona’s victory over Córdoba. Since September, the Argentinian talisman has claimed 15 goals in 16 league games as he continues to assert his dominance over all La Liga defenders. Through the end of December, the premier Spanish division takes a well-earned break in action. It makes for an ideal time for players to recover their bodies. When action does resume, we expect to see Messi sporting the Mirosar10 again. 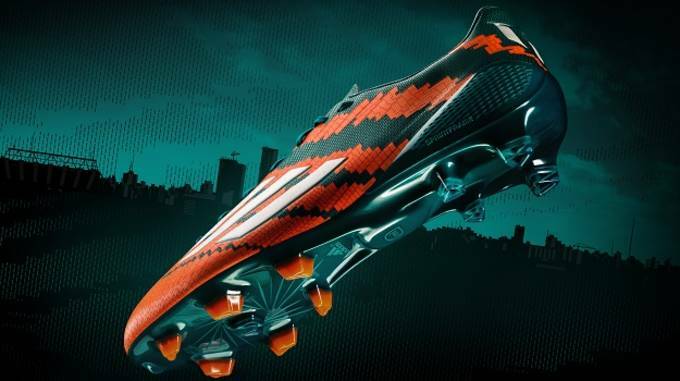 But what makes the Mirosar10 so special to Messi? Here we break down what the special edition release is all about! RELATED: Zlatan and Nike are Splits-ville: Which Brand Will He Choose Next? 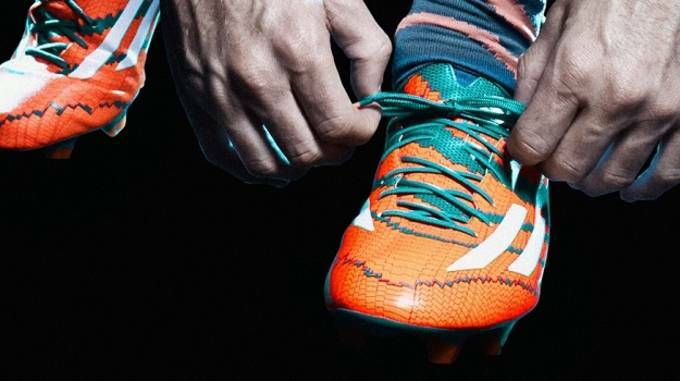 In creating this boot, Adidas took inspiration from Leo&apos;s upbringing in Rosario, Argentina where he learned the game and scored his first goals, before becoming an international superstar. Right throughout the boot, there is significant meaning. For example, the insoles are printed with a map of Rosario, which is highlighted throughout along with the Batallón pitch – an abandoned military base field that Leo used to sneak onto through a hole in the fence to play football with his friends when he was a small child. Why is it Called the “Mirosar10”? The naming convention of the boot is Mirosar10 (or Mirosario), which translates from Spanish to &apos;my Rosario&apos;. The number 10 is added to give prominence in the naming, in the same way Leo has himself given prominence to this number for both club and country. The boot has also been named the Messi 10.1, so you might notice it listed with a different name in different spots online. 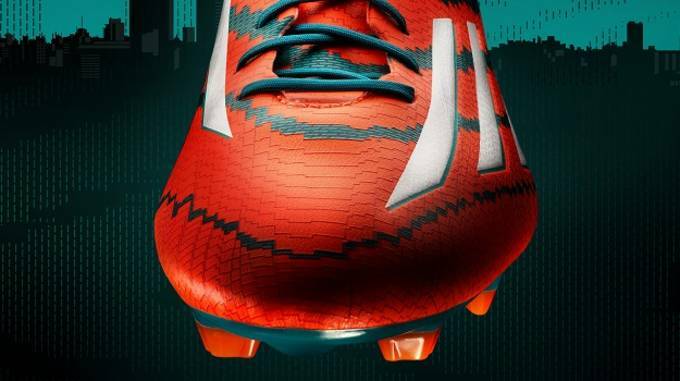 Again, Adidas picked significant colors to create a true Messi inspired boot. The orange of the boot signifies his first ever club, with the green representing their fiercest rivals, who Leo scored 4 goals against in his first significant 11-a-side game as a young child. For that reason, the Orange obviously covers a much broader surface area on the boot. Up close, the boot has a light textured design that looks like it follows the silhouette of a skyline. It also proves the separating line between both shades of color. Given the fact these are worn by one of the best players to ever wear the game, it is quite clear that there is something special about them. Through extensive research, Adidas has produced one of the best speed boots ever release in the adiZero F50 series. With Messi’s input, this latest version is another weapon that attacking styled players can definitely make the most of. The upper is a Hybridtouch microfiber, with that light 3D texture and definition across the surface aiding in first touch and control on the ball. Flip them over and you find the signature Traxion soleplate, ideal for use on FG surfaces. Find the adidas Messi 10.1 listed at soccer.com.